We at Curb Appeal Roofing Construction are delighted with GAF’s EnergyCap™ brilliant white cap sheets. You can get the safety of RUBEROID®MB and GAFGLAS®BUR Multi-ply Roofing Systems. We know your energy costs are soaring. With this GAF’s TPO membrane roofing system, you can have a protective TPO membrane roofing system PLUS a high amount of energy saving. Even sweeter: GAF’s TPO membrane fire retardant and brilliant white cap sheets are up to 45% less in costs to install than OTHER ENERGY STAR® products. These brilliant-white cap sheets exceed the minimum reflectivity requirements as well as the reflectivity and emissivity of Title 24—to save you money. Curb Appeal Roofing and Construction can apply this TPO roofing system to a new roof or to reroofing requirements. The premium energy saving white elastomeric coating saves time and labor. You do NOT have to apply the coating after the membrane has been installed. You won’t need to apply multiple coats, staging the applications. Instead, it comes ready to install! Truly a time and money saver in TPO roofing for Oklahoma! Just when you thought it couldn’t get any better – GAF developed a fire-retarding modified bitumen membrane roofing material! This premium roofing product is strong, heavyweight. At its core is our strong, heavyweight, and resilient non-woven polyester mat. The mat is coated with an inherently fire-retardant APP polymer modified asphalt and then surfaced with mineral granules! This fire-retarding TPO roofing material is designed for new roofs and re-roofing. It is ideal for situations in which long-term roofing system performance is a must! The system guarantees are available for up to 20 years! It weighs less than 3 pounds per square foot – that is light! It’s heavyweight polyester mat core is pliable and can be elongated, allowing it to resist splits and tears. The durable nature of its material and manufacture gives you lasting performance and protection. WIND UPLIFT RESISTANCE: selected roofing assemblies with our FR membrane meet FMRC class 1-180 when installed over concrete decks. Available in black or white granules. RUBEROID® EnergyCap™ Torch Plus FR membrane is a premium, fire-retarding modified bitumen membrane with a factory applied layer of TOPCOAT® EnergyCote™ elastomeric coating. RUBEROID® EnergyCap™ Torch Plus FR Membrane is manufactured to stringent GAF Corporation specifications. Its core is a strong, resilient non-woven polyester mat that is coated with fire-retardant APP polymer modified asphalt and surfaced with extra fine mineral granules and EnergyCote™ elastomeric coating. RUBEROID® EnergyCap™ Torch Plus FR Membrane is designed for new roofing and reroofing applications where long-term roof system performance is specified. TPO SBS Membrane Roofing Products that work well for your flat roof. These are all from GAF, a very reliable product. RUBEROID® 20 MEMBRANE: Tough, resilient, fiberglass-based modified bitumen base/ply sheet manufactured to stringent GAF specifications. RUBEROID® MOP SMOOTH 1.5 MEMBRANE: Tough, resilient, polyester-based modified bitumen base/ply sheet manufactured to stringent GAF specifications. RUBEROID® SBS DUAL SMOOTH MEMBRANE: Premium, heavy duty, polyester/fiberglass-based modified bitumen base/ply sheet manufactured to stringent GAF specifications. RUBEROID® MOP PLUS SMOOTH MEMBRANE: Premium, heavy duty, modified bitumen membrane manufactured to stringent GAF Corporation specifications. TPO ROOFING: Flat Roofs - Cap Sheets (Heat-Weld) Products for your flat roofing needs. Tough, resilient polyester-based SBS modified bitumen cap sheet that can be installed without the use of hot asphalt. Heat-weld™ membranes are film-backed for superior installation. Tough, fire-retarding polyester-based SBS modified bitumen cap sheet that can be installed without the use of hot asphalt. Heat-weld™ membranes are film-backed for superior installation. Premium polyester-based SBS modified bitumen cap sheet that can be installed without the use of hot asphalt. Heat-weld™ membranes are film-backed for superior installation. Premium, heavy duty fire-retarding polyester-based SBS modified bitumen cap sheet that can be installed without the use of hot asphalt. Heat-weld™ membranes are film-backed for superior installation. Tough, polyester-based resilient modified bitumen base/ply sheet manufactured to stringent GAF specifications. Heat-weld™ membranes are film-backed for superior installation. Premium, heavy duty fire-retarding polyester-based cap sheet with a factory applied layer of TOPCOAT® EnergyCote™ elastomeric coating. Heat-weld™ membranes are film-backed for superior installation. 1. Easy to Install: We're assuming, you've been trained to install this product properly and for the climate in which it will be used. With all of that said, it is quick, economical, and easy to assemble the parts of the TPO roofing systems. 2. Energy Efficient: TPO White Roofing Systems are excellent reflective surfaces, reducing heat build-up both above and under the membrane. 3. Highly Resistant: TPO Membrane roofs are resistant to fire, UV, airborne bacteria, and industrial pollutants. They are resistant to tears, impact, punctures, and wind uplift. 4. Reduced Installation Costs: Because of the widths that are available, the roofs can have less seams than standard PVC sheets. Less seams means less labor, resulting in reduced installation costs. 5. Thick Top Ply: TPO Membrane Roofs have more product on top of the scrim. In fact, it is one of the thickets top lies in the industry. 6. Capabilities: TPO Membrane roofing keeps moisture out, can handle even hot sun, sand, arctic freezes, heavy downpours, and even rooftop traffic and equipment. All of these attributes makes it ideal for new construction. TPO is also lightweight, allowing retrofit installations without adding excessive weight. 7. Flexes With Temperature Changes: Because it will flex with hot and cold temperatures, it is more resistant to cracking or splitting. 8. Cleanable & Repairable: You can repair TPO membrane roofs again and again. 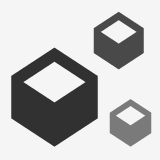 The construction of the product allows for cutouts, alterations, and even tie-ins. Additionally, you can keep it looking new by proper cleaning. 9. High Value; Low Price: We at Curb Appeal Roofing and Construction know the very best TPO products to use for your roof. The highly evolved TPO technology allows for excellent results. Yet, we also know which products are available at the very best price! 10. Environmentally Friendly: TPO products contain no chlorine and are recyclable. 11. Can be purchased in white or other colors. 12. Mule-Hide has a warranty program with several options for both residential and commercial projects. Mule-Hide has some of the best TPO Membrane products. In this and the next two blog articles, we'll take a look at some of those products. We'll also include the basic information on a handy website page for you. INSTALL OVER EXISTING METAL ROOF. Did you know that you can successfully install TPO Membrane roofing products over existing squares of standing-seam metal panels? TPO Membranes and products have successfully covered leaky metal roofing and small gaps between adjacent buildings. Additional fasteners can be used to provide increased wind resistance. PRE-TAPED EPDM FOR FAST APPLICATION OF WRINKLE-FREE SEAMS. Our taped membrane is factory applied, ensuring uniform width and thickness of the adhesive, with no trapped air bubbles. Mule-hide's factory applied adhesive is more reliable, with 30 percent greater peel and strength. Our factory placement of the tape provides Curb Appeal Roofing and Construction with a reliably positioned adhesive. This can cut our seaming time by almost 75 percent! Cutting seaming time saves you, our customer, labor costs. CURB APPEAL CONSTRUCTION'S WELL-TRAINED ROOFING CREWS HELP INCREASE INSTALLATION AND ENERGY EFFICIENCY. While it is important to focus on energy efficiency, if the roofing products are not properly repaired or applied, both energy and cost efficiency go down the drain! Make certain the roofing company you are interviewing KNOWS how to install the TPO products. And, installation expertise must include TPO roofs and TPO roof repairs. RUBEROID® EnergyCap™ Torch Granule FR membrane is fire-retarding modified bitumen membrane with a factory applied layer of TOPCOAT® EnergyCote™ elastomeric coating. RUBEROID® EnergyCap™ Torch Granule FR Membrane is manufactured to stringent GAF specifications. Its core is a strong, resilient non-woven polyester mat that is coated with fire-retardant APP polymer modified asphalt and surfaced with extra fine mineral granules and EnergyCote™ elastomeric coating. RUBEROID® EnergyCap™ Torch Granule FR Membrane is designed for new roofing and reroofing applications where long-term roof system performance is specified. RUBEROID® TORCH GRANULE membrane is a tough, resilient modified bitumen membrane manufactured to stringent GAF specifications. Its core is a strong, resilient, non-woven polyester mat that is coated with weather resistant APP polymer modified asphalt. RUBEROID® TORCH GRANULE MEMBRANE is designed for new roofing and reroofing applications as well as flashings. RUBEROID® TORCH GRANULE MEMBRANE is also an ideal product for repairs of built-up roofing membrane or other modified bitumen systems. RUBEROID® TORCH GRANULE MEMBRANE is backed by GAF, a company with over 100 years in the roofing business. RUBEROID® TORCH SMOOTH membrane is a tough, resilient modified bitumen membrane manufactured to stringent GAF specifications. Its core is a strong, resilient, non-woven polyester mat that is coated with weather resistant, APP polymer modified asphalt. The membrane is available with smooth surface. RUBEROID® TORCH SMOOTH MEMBRANE is designed for new roofing and reroofing applications as well as flashings. RUBEROID® TORCH SMOOTH MEMBRANE is also an ideal product for repairs of built-up roofing membranes or other modified bitumen systems. RUBEROID® TORCH SMOOTH MEMBRANE is backed by GAF, a company with over 100 years in the roofing business. What Are TPO Membrane Roofs? Because of Their Properties, TPO Membranes Roofs are One of the Fastest Growing Roofing Systems. They Provide Owners with Excellent Commercial Flat Roofs. Curb Appeal Roofing and Construction is Expert in the Installation and Repair of TPO Membrane roofs. 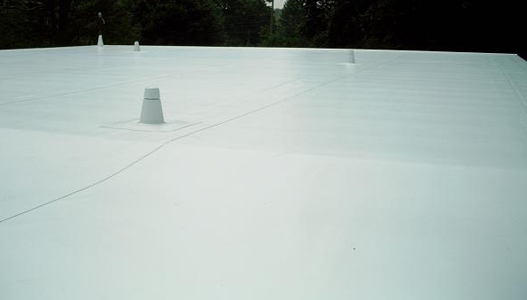 "TPO" is short for "Thermoplastic Polyolefin" and are single-ply roofing membranes. TPO is made up of sheets that are a blend of polymers and are usually reinforced with polyester. To avoid the expense of tearing off an existing non-TPO system, TPO sheets are available with fleece backing that can be applied over an existing concrete or granular molecule roof, or can be mopped onto an existing hot asphalt roof. The seams of a TPO roof are heat welded with hot air to provide increased resistance to tearing. These qualities enhance puncture resistance, helping to protect the roof against hailstorm damage.